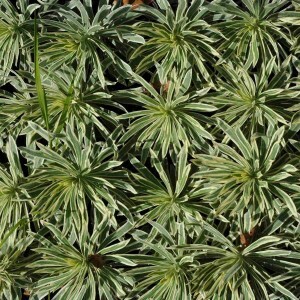 Euphórbia is a bright and most widespread representative of the family of Euphorbiaceae. Today, in the most different latitudes – tropical, subtropical and moderate, there are not less than 2000 species of this plant. It should be noted, that the euphorbia differs in enviable variety of forms. Also long-term or annual herbs, and stem succulents (are on the verge of disappearance), both small trees, and huge bushes meet. There are types of an euphorbia suitable for cultivation as houseplants. The euphorbia has the trunk in a form reminding a column, escapes at this plant reinforced, and roots perfectly keep moisture that with ease allows perennial to transfer even a long drought.